Ah, the Golden State. Home to sunshine, Hollywood, artisanal toast, and (most importantly) music festivals. 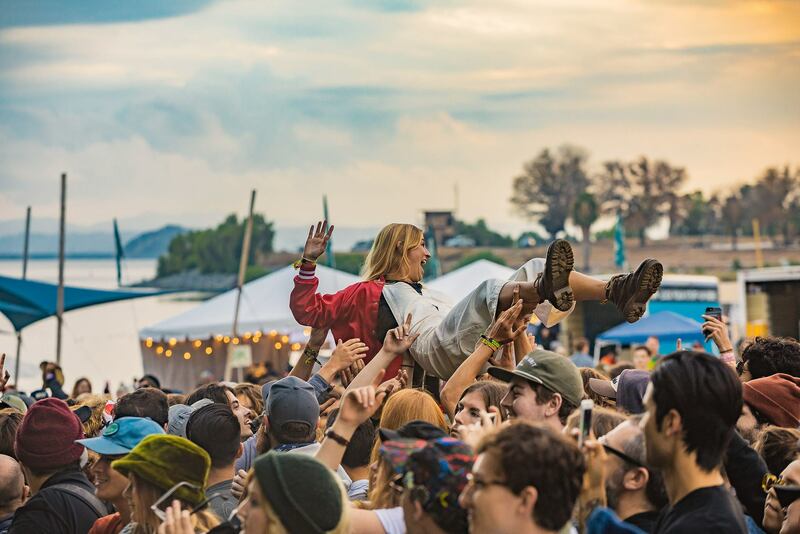 There are, of course, a lot of festivals throughout the USA, but there's something about the Cali' climate and disposition that translates well in a festival environment. Because of this, the state is home to festivals of all shapes and sizes, ranging from highly curated boutique ones to anything goes hippy freakouts in the desert. With so much to choose from, we thought we'd give you a hand and run down our favourites heading into 2019. Here they are, presented in chronological order. Heard of it? 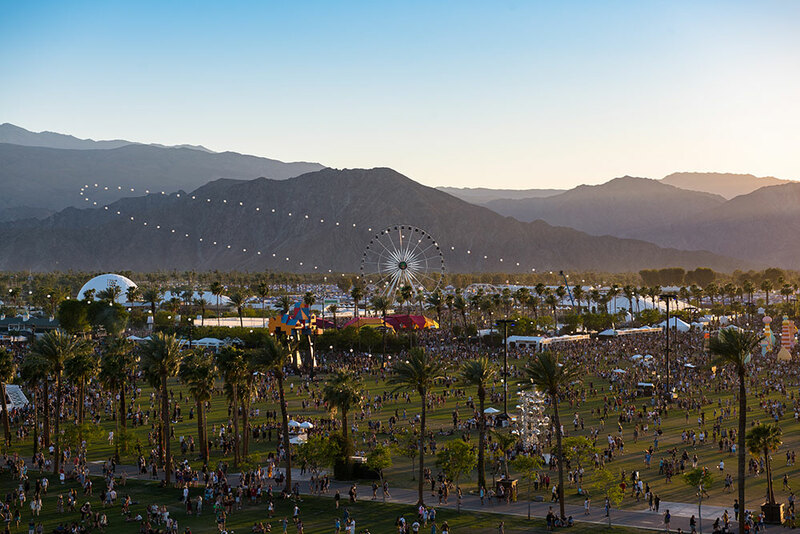 Whether you like it or not, Coachella is the most influential music festival in the world. The unofficial official start to the festival season every year, the festival has also become a fashion institution, setting trends for what you'll see at festivals throughout the summer. And as much as you might want to make fun of the people who attend, Coachella still puts together one of the best and most varied lineups you'll find anywhere. Put on by the same people behind Coachella and set in the same spot, Stagecoach is the biggest country music festival in the world. Welcoming the biggest names not just from country, but folk, bluegrass, and roots rock as well, the festival has grown every year since its inception in 2007. 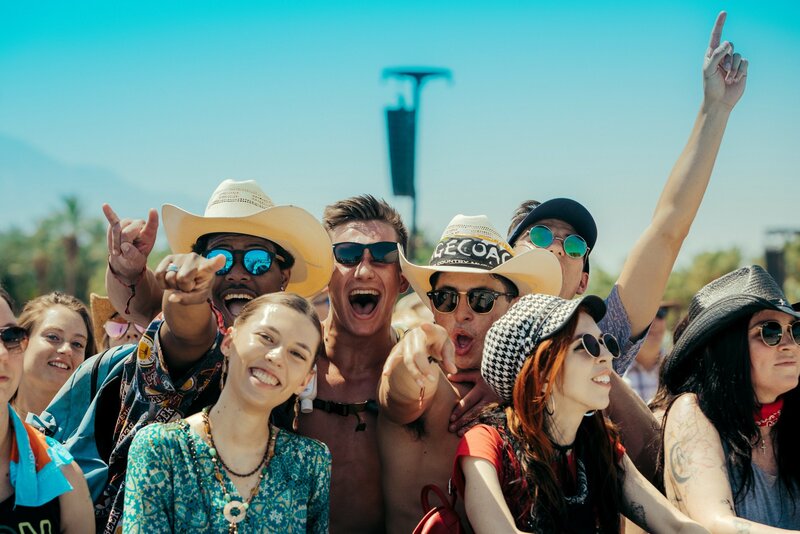 With 75,000 people attending in 2018, Stagecoach's melding of a classic rock weekender festival format with country sounds clearly strikes a chord with music fans. It never hurts to have a good origin story. Started as a birthday party for its first four years, Lightning in a Bottle was first opened to the public in 2004. After moving around a few times, the festival have found an ideal home in Bradley, on the shores of Lake San Antonio. And as more and more festivals sell to either Live Nation or AEG, it's important to point out that Lightning in a Bottle remains independent. This ensures the experience is unique and the lineup is always solid and not filled out with label fodder. Firstly, let's get this out of the way: yes, BottleRock is indeed Napa Valley's first large-scale music festival. Set in the heart of America's wine country, the festival merges chart-topping tunes with the highfalutin world of wine. Annually featuring a lineup of some of the biggest acts on the planet, the festival is about more than just music, with over twenty local wineries on site, along with a culinary stage of celebrity chefs and special guests. Oh and if all this gets a little overwhelming, BottleRock has its own spa. If you haven't noticed, carving out a niche for yourself in the festival world isn't easy. There's at least one for pretty much everything you can think of. 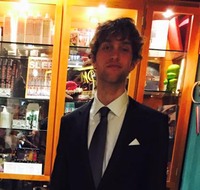 HARD's approach is to walk the fine line between EDM and the underground. Granted that sounds like a paradox, but you can't argue with the results here. Started as an electronic music festival, HARD Summer has broadened its horizons in the last few years to accommodate the undeniable appeal of hip hop. San Fran's main event, Outside Lands annually welcomes 200,000 music lovers. Heading into its 12th edition this year, the festival takes over Golden Gate park the second weekend of August every year. What separates Outside Lands from the competition is its ability to put together a lineup that balances critical and commercial success. You won't find many pop stars here, though. Instead its about artist who have used their critical success to crossover into the commercial world. This one is a bit of a rogue addition as music is but a small part of the Burning Man experience. But it is a festival. And there are musicians performing there. So it counts as a music festival, thank you very much. The annual assemblage of the temporary Black Rock City in the desert is perhaps the most celebrated gathering in the world. This is your chance to let your freak-flag fly and get outside your comfort zone as anything goes, as long as it's consensual. Set in the laid back, coastal town of Del Mar, KAABOO mirrors its surroundings with an easy-going atmosphere. Catering to a slightly older crowd, the festival's lineup still annually looks like a printout of Billboard's Hot 100 chart. 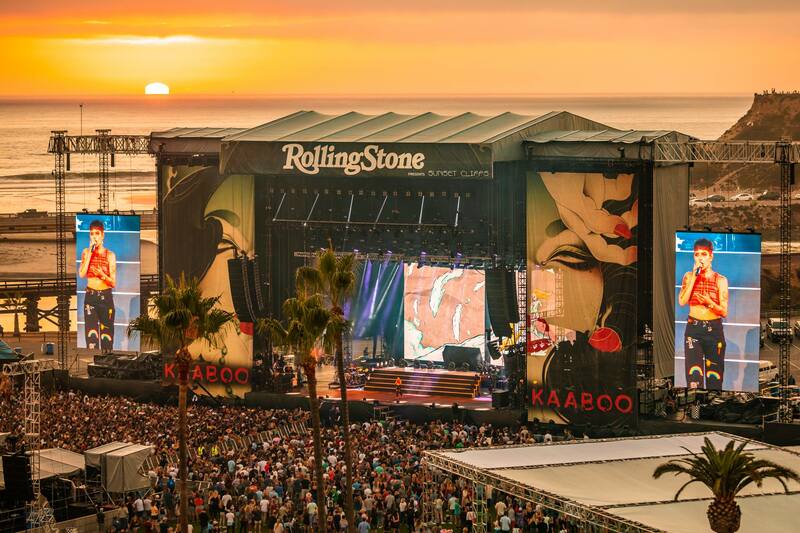 Unlike other festivals of its ilk, KAABOO doesn't require a military-grade planning session to get the most of your time there. And to top it all off, the food and drink options are perhaps unparalleled on the festival scene. Desert Daze is the perfect remedy for anyone who's worried about the future of music festivals. Set on the scenic Moreno Beach, the festival is a cohesive experience. The lineup annually features some big acts, but it's not the social media frenzy-inducing level of its bigger counterparts. Instead, organisers focus on curating a lineup of artists that compliment each other. My theory, because you're asking, is eventually people will get tired of the mega festivals where you can't possibly see all the acts you want to and instead start favouring more manageable and more put together ones like Desert Daze. Another example of what I was talking about for Desert Daze, there's a lot that makes Camp Flog Gnaw Carnival great, but I think a major draw is its less grandiose aspirations. Curated by none other than Tyler, The Creator, the festival feels more like a bunch of friends hanging out than a festival. Of course, it doesn't hurt that Tyler can draw from a long list of his famous friends when putting together the lineup.